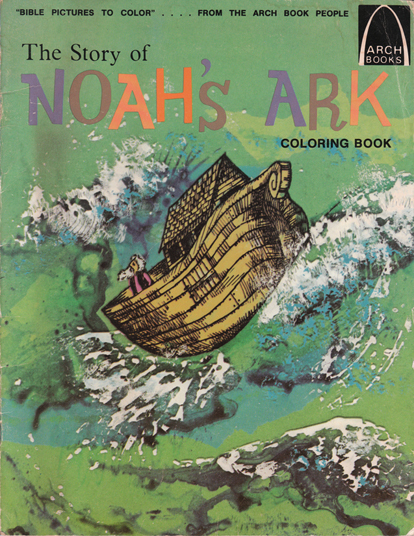 Description: Super-rare colouring book from our West Atlantic cousins in which the famous story is retold using simple language. Excellent, full-page b&w marker drawings with a typical 1970s accent. Covers lightly creased; rear has some minor wear. Presentation plate affixed to inside front cover. Pages have only the slightest hint of creasing from handling, but are otherwise in excellent condition. Remarkably, not a single illustration has been coloured in, and what's more, the pages are neither tanned nor foxed, in spite of the book's 40 years! Measures 28 cm × 21.5 cm (11.2″ × 8.6″). Large 4to. Unpaginated.